The Diocese of Athabasca came into being in 1874 by the division of the original Diocese of Rupert's Land at the same time that the Dioceses of Saskatchewan and Mosinee were created. The Synod of the Diocese of Athabasca was organized in 1876. The Diocese was incorporated by statute of the government of Alberta in 1914, with the See located in the town of Peace River. 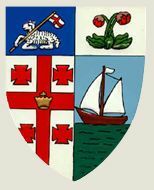 It is one of thirty dioceses associated with the Anglican Church of Canada and one of ten dioceses in the ecclesiastical Province of Rupert's Land. The Anglican Diocese of Athabasca includes 33 congregations in the northern half of the Province of Alberta. These congregations make up 18 parishes being served by 18 clergy. Two of the parishes are shared ministries and several are multi-point parishes. From the Saskatchewan border in the east to the British Columbia border in the west; from the North West Territories border in the north to an east-west line running just north of Edmonton in the south, the Anglican Diocese of Athabasca encompasses an area of more than 317,000 square kilometres and has upwards of 3,500 people on the parish rolls. The diocese is divided into two deaneries loosely framed along the Peace and Athabasca Rivers, the Deanery of the Peace and the Deanery of Athabasca, which are linked by road only in the south. Commercial airline connections are oriented towards the south and east through Grande Prairie and Fort McMurray to Edmonton, Calgary, and Toronto. The oil and gas industry forms the backbone of the economic life of our diocese. While much media attention has been focused on the city of Fort McMurray, the oil and gas industry is active throughout much of the north. The current economic turmoil has affected our diocese as communities suffer from rapid growth and shifts in population. However, since most of our congregations are found in smaller communities, farming and independent small business feature prominently in most parishes. 2012 Survey results. A survey of habits, attitudes, desires, priorities of parishioners in the Diocese. This presentation is not responsive to viewing size. Best viewed on desktop or laptop computers. From the Anglican Communion Office, as part of its mission and evangelism work - A webpage listing resources to study, encourage and support the work of evangelism in the church around the world. growth. Go to Website. . This Diocese fully endorses the ministry of On Eagle's Wings. seeks to provide abundant resources for innovative ministries, Anglican presence, and diverse infrastructure projects across the Canadian Church.